Students searching for financial aid to pay for college often overlook an important source of valuable scholarships – their church. Many Christian denominations support a variety of scholarship programs, at both the national and regional level. Some of these programs are strictly limited to members of specific congregations, while others are open to all practicing members of a specific faith. These faith-based financial aid programs are often sponsored by Christian colleges or private endowments. In some cases scholarships may be funded and administered by local church foundations or faith-based civic groups. While much of the financial aid conversation is centered upon secular colleges, corporations and professional associations offering scholarships and grants, the opportunities offered by Christian colleges and foundations should not be overlooked. Christian colleges and seminaries use the same financial criteria to award scholarships and grants as their secular counterparts. This means that students planning to attend a faith-based school, regardless of denomination, will need to fill out and submit the Free Application For Federal Student Aid. The FAFSA, and the subsequent Student Aid Report it generates, is used to determine the level of financial aid a student is qualified to receive. While faith-based scholarships are awarded according to a variety of non-secular criteria, the FAFSA is still used to determine financial need and all students pursuing Christian Scholarships should make their FAFSA application a priority. Many faith-based scholarships will be school specific, and therefore only available to students enrolled in the sponsoring Christian college or university. A large proportion of these scholarships will also be tied to specific studies, often targeting theology majors and students entering into missionary work. Others may be general study scholarships, or scholarships specific to student type, such as the dependents of practicing clergy. Due to the specificity of many of these scholarship programs, and to their limited nature, it should be understood that competition for these awards is fierce. Students should apply early for the best results. The following examples of college specific Christian scholarships should give students an idea of the types of programs being offered by faith-based colleges and universities around the country. Bellhaven University is a Presbyterian liberal arts college located in Jackson, Mississippi. Bellhaven supports a variety of general scholarships including the $1000 Ridgeway-Davis Scholarship for undergraduate students enrolled in biology, chemistry or math studies preparatory to pursuing a degree in medicine. Bellhaven also offers a variety of general scholarships, including the Bellhaven Academic Scholarship (range $2000 – $$10,000), the Bellhaven Leadership Scholarship (range $500 – $1500) and the Bellhanven Arts Scholarship (variable award amount). 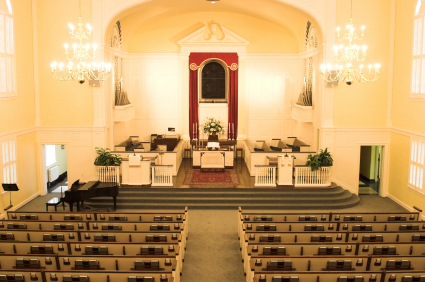 Greenville College is a Free Methodist college providing a top level Christ centered education to its students. Greenville offers a variety of merit-based scholarships, including McAllister Honors Scholarship ($12,000 per year), the Dean’s Scholarship ($8000 per year) and the Character and Service Scholarship ($500 – $5000 per year). Greenville’s merit-based scholarships are awarded strictly on the basis of academic achievement and service to the community. Greenville also offers a number of need-based scholarships, including the Christian Service Dependent Scholarship which offers up to $2500 per year to the children of active or retired ministers or missionaries. Oklahoma Baptist University sponsors a wide range of scholarship opportunities for its enrolled students. OBU offers four academic scholarships for incoming freshman: the President’s Academic Scholarship ($7000 per year), the Trustee’s Academic Scholarship ($8000 per year), the Founder’s Academic Scholarship ($!0,000 per year) and the University Scholar Award (full tuition for 4 years). These scholarships are awarded on the basis of academic achievement, leadership and service to the community. OBU also offers the Louise M. Prichard Church Vocation Scholarship, a need-based award for students entering the ministry. Oral Roberts University is a Protestant college located in Tulsa, Oklahoma. As one of the best known faith-based universities in the country, ORU is recognized as offering a state of the art Christ centered education. Oral Roberts University offers a wide range of scholarships for its attending students, including the Whole Person Scholarship which awards up to $20,000 to freshman students who have demonstrated a history of high academic achievement. A variety of merit-based and need-based scholarships are also available to students enrolled in the ORU Graduate School of Theology and Ministries. These awards are determined by course of study, academic achievement and financial need, with amounts ranging from $700 to $1700 per year. In addition to the large number of valuable scholarship opportunities supported by individual Christian colleges and universities, a variety of faith-based organizations sponsor financial aid programs that are not necessarily linked to a particular school. These scholarships may be distinguished by denomination, or by area of study, and may be either merit-based or need-based. Interested students should begin their search for non-allied scholarships by speaking with their clergy and by contacting associations and organizations with close ties to their specific denomination or congregation. The following programs are examples of the types of scholarships available from national and regional Christian organizations. The United Church of Christ is affiliated with more than thirty colleges and universities across the country. They also have ties to a large number of colleges and universities around the globe. The UCC supports a number of national scholarships, including the UCC Undergraduate Scholarship which provides financial aid to students entering their sophomore, junior or senior year at an accredited college or university in the United States. To be eligible, students must be active members of a United Church of Christ congregation, must be under 25 years of age, and must have a minimum GPA of 3.0. Awards range from $500 to $1500. This scholarship can be used at either a secular or a faith-based college or university.UCC also offers a number of Make A Difference Seminarian Scholarships for students preparing to enter the ministry. To be eligible, students must be current members of a United Church of Christ congregation, and must be enrolled at a seminary accredited by the Association of Theological Schools. Students must agree to serve in the UCC or a partner church upon completion of seminary. Awards range from $500 to $2500. The Generosity Trust administers the Dora Maclellan Brown Ministry Scholarship for Christian men and women in the Chattanooga area who are working towards a master’s degree at an approved theological seminary or graduate school. Special preference is given to students intending to enter the ministry. Award amounts vary according to field of study and the availability of funds. The Foundation for College Christian Leaders offers an annual scholarship for Christian students who can demonstrate a high level of academic achievement, and who meet the set requirements for financial need. The scholarship is open to undergraduate students with a 3.0 GPA or better who demonstrate a high level of Christian testimony and leadership. Eligible students must be residents of, or attending college in, California, Oregon or Washington State. Award amounts vary according to the availability of funds. The Diamonds in the Rough Ministry Scholarship is designed to benefit female high school seniors who have performed exceptionally in academics, community service and extracurricular activities. The purpose of the scholarship is to promote self discovery and self-worth through the teachings of Jesus Christ. To be eligible, students must be residents of Texas and must have a minimum high school GPA of 2.5. The scholarship can be applied at any secular or faith-based college or university. Award amounts vary according to the student’s total cost of tuition, and the availability of funds. All college-bound students are looking for opportunities to supplement their college fund. Christian students, who are active members of their congregation, will find that there are a great number of faith-based scholarship programs dedicated to helping them achieve their college ambitions.